Drug Affinity Complex (DAC), which significantly prolong their effects and action. 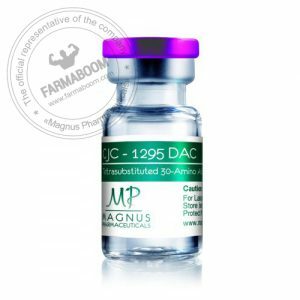 This means that the product will act in the body much longer than is usual in CJC-1295 (without DAC), namely up to 14 days. The original GRF (1-29) has a half-life of about 30 minutes. When the DAC component was added, this allowed the peptide half-life to be extended and also provided for steadier blood levels after injection. Standard dosing is 0,5 – 1 mg (500mcg – 1000mcg), twice per week being optimal for most. Injections can be performed intramuscularly or subcutaneously. Other peptides can be mixed in the same syringe and injected at the same time. It can be injected any time of day. If an optimal injection time had to be picked, it would be in the evening. 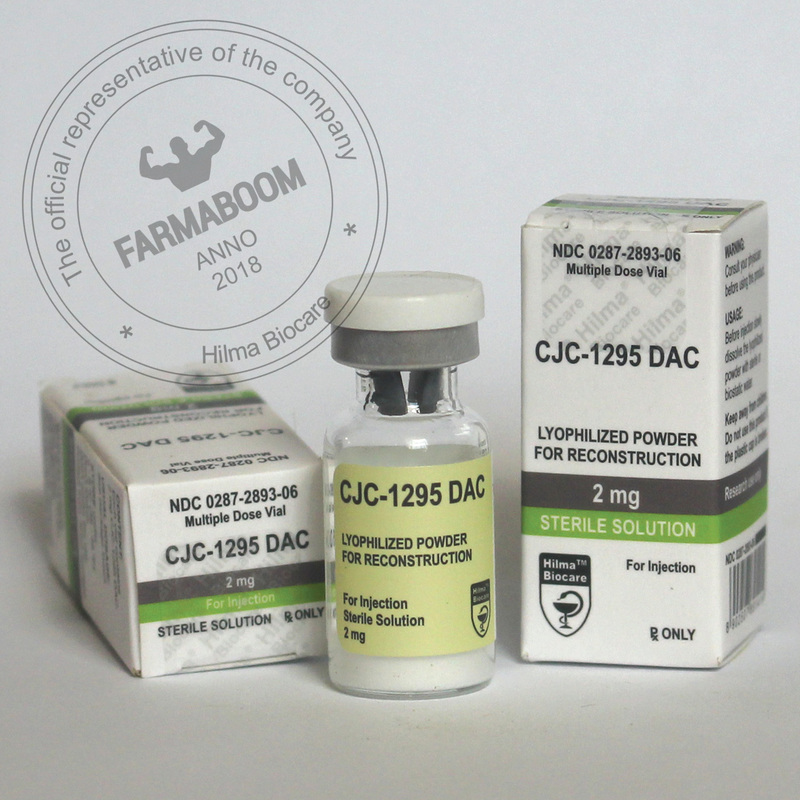 CJC-1295 can be used for any purpose of performance enhancement.The main effects is fat loss, muscle gain, increased strength, improved skin tone, better sleep, more energy, stronger bones and connective tissues, anti-aging. Since CJC-1295 is just a peptide and not a steroid, it has very minimal side effects. There is side effect like tiredness, water retention, tingling in hands and feet, temporary irritation (redness and/or lumps) at the injection site. Another side effect of the CJC-1295 is acromegaly. Acromegaly is a condition where extra growth hormone is released even after the internal organs and the skeleton have finished growing. Although lyophilized peptides are stable at room temperature for up to 2 months, they should be stored desiccated below -18°C. Product can remain in good condition for 18 months if kept in refrigerator (powder).